It is a requirement of your Agreement, that the goods are protected against Theft and Accidental Damage. We can arrange Theft & Accidental Damage Cover for £1.24 per week. It is a requirement that products purchased on a credit agreement are insured. We can offer Theft and Accidental Damage Cover for £1.24 per week. This Indesit Washer Dryer is ideal for your home if you are looking for a duel machine to complete both laundry tasks. 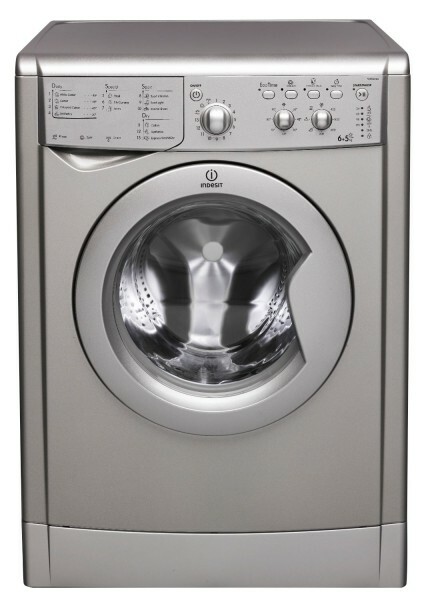 This Washer Dryer is a great choice as it has many different features such as; Variable Temperatures, Variable Spins, Express Wash & Dry, a Handwash feature, Sports Wash, Delay Timer and Sensor Dry Technology - this particular features has been specially designed with moisture sensors which carefully monitor when the load is dried. It is dried to one of three selected levels – Cupboard dry, Hanger dry or Iron dry – so your clothes are protected from over drying and you’re not wasting energy.